This month's theme is "Creepy Cute" (which is a little bit of a weird theme if you ask me!) Boxycharm always includes a detailed product card explaining the items that were included in each month's subscription. 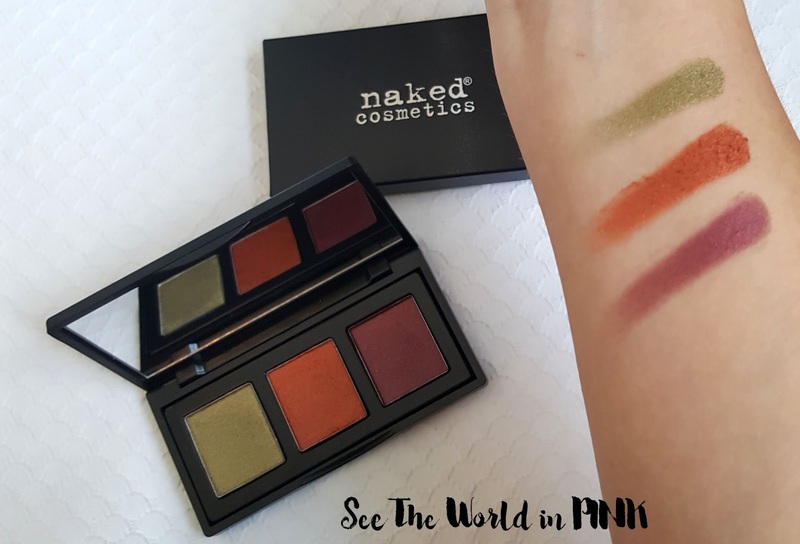 Naked Cosmetics Urban Rustic Palette ~ $39.99. If you are a fan of the high-color payoff of our Pigments, you will NOT be disappointed in this new Palette. These highly pigmented pressed eye shadows have a soft silky feel, and as with our pigments, a little goes a LONG way. This palette is a pre-release product - it is being shipped out March 15. This is not the first pre-release palette that Boxycharm has sent out and I love that they are including brand new products! Also, the swatches of this are gorgeous! It is clearly not a stand alone palette, but all 3 shade have great pigmentation and I can't wait to play with them! On a side note, I will say that $40 is a little steep for this! 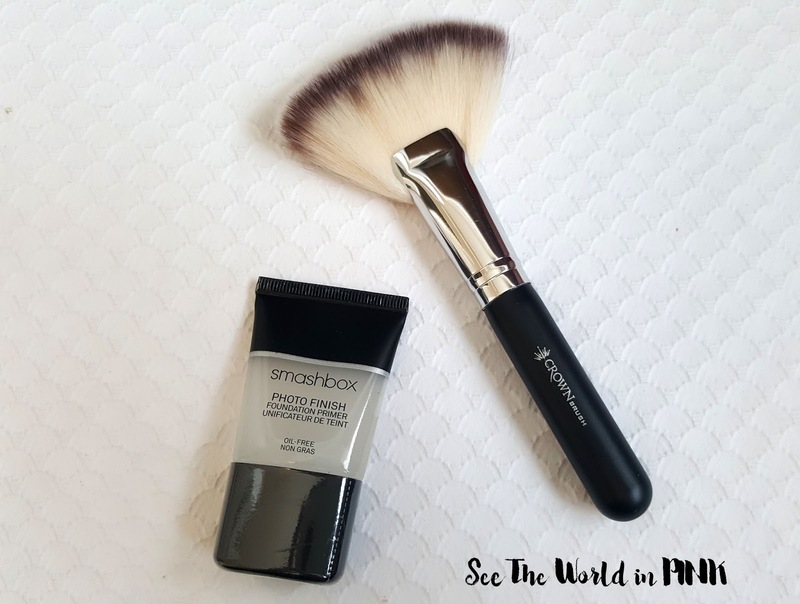 Smashbox Iconic Photo Finish Foundation Primer ~ travel size 0.5 oz for $20.00 CAN (or $16.00 US). A translucent primer gel that smooths skin and blurs flaws—for makeup that looks better and lasts longer on set. This is a pretty good primer - I have purchased it before and also had quite a few samples of it! It does blur lines and smooth skin pre-foundation so no complaints! I had to say I wasn't thrilled when I saw Boxycharm was sending another fan brush (I feel like I just got one), but this is no ordinary fan brush, this is like a fan brush on steroids! It is huge and I love it! Move over little dinky fan brushes, there is a better one coming in! Can't wait to use this! Real Her Lip Liner "I am Loved" ~ $12.50. Premium formula glides on smoothly. Long-lasting wear that does not feather or bleed. Certified Cruelty Free; Paraben Free. Infused with Jojoba Seed Oil and Shea Butter. Works perfectly with any RealHer lipstick or liquid lipstick. I have to start by saying that this branding is adorable! Real Her is all about empowering women and they donate 20% of their profits to a specific woman's charity! I think they great! This is a nice lip liner and I will probably do a post review featuring these 2 products. The only thing I wish was the shades were described on the website to know which ones go together! 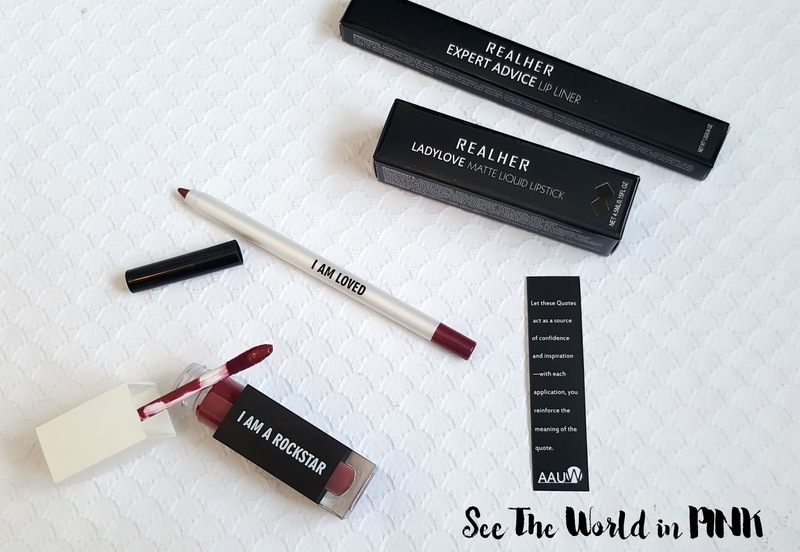 Real Her Matte Liquid Lipstick in "I Am A Rockstar" ~ $15.00. Lightweight formula glides onto lips leaving super intense color with a bold, ultra matte finish. Long wearing and completely kiss proof. Bomb formulation helps to combat dryness and nourish your lips during wear. I am happy with this product - the colour looks really nice, but I do still have to test out the formula! Boxycharm came with 4 full sized, and 1 travel sized item and a value of $106.48. 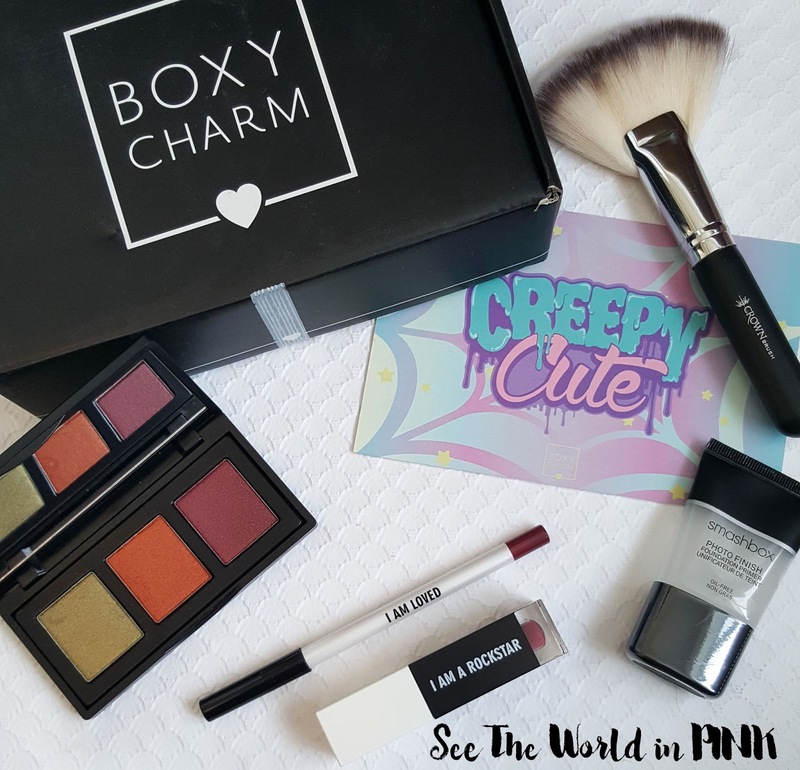 The value of Boxycharm is always high-valued and features all full sized products or the occasional travel size (but no small samples!)! This box had a really great mix of products with makeup, skincare, and accessories - but it does have a much heavier makeup influence! I'm really happy with this month's box! I loved that this included a new, unreleased palette and some really great new lip products! What did you think of the March Boxycharm? Good post! About the lip liner, though...No one is commenting that it is only a sample. It's literally a TIP of liner. What is up with that? It's a full size product - you likely just have to sharpen the pencil instead of it being a twist-up product.